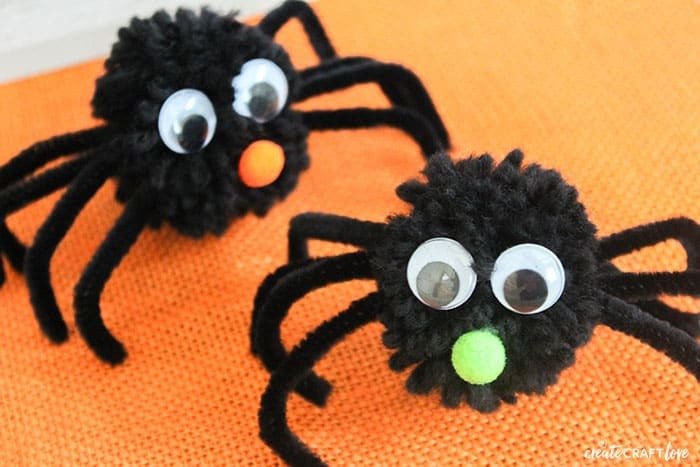 You won’t be scared of these cute Pom Pom Spiders! Great for Halloween parties and treats! As a rule, I don’t like spiders. When my mom was sick, she told me she was going to haunt me as a spider. Now I can’t kill them because I feel guilty but I’m still scared to death of them! I was looking through older posts and came across one I had done for Valentine’s Day with my pom pom maker. 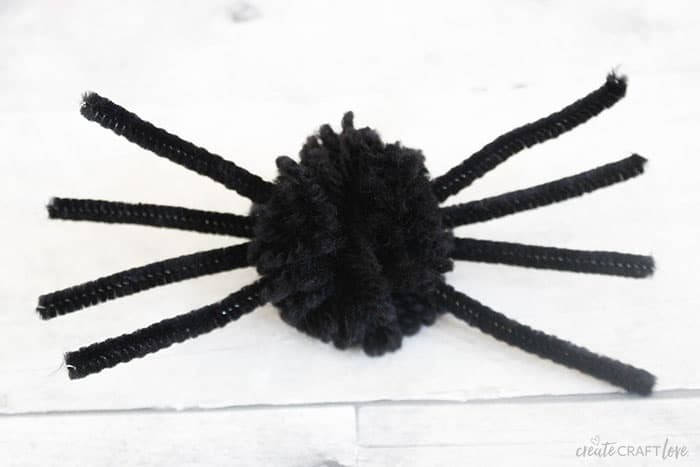 I hadn’t tried making anything for Halloween with it so I decided to try my hand at these arachnids. I’m glad I did because they turned out super cute! 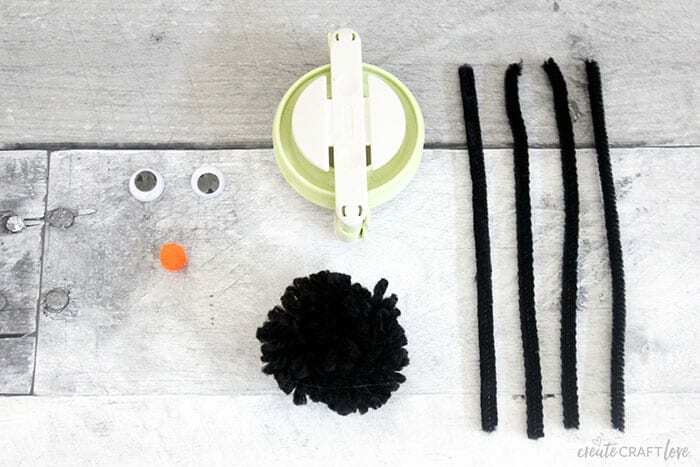 For a complete tutorial on how to use your pom pom maker, check out this post. It will walk you through the process step by step. 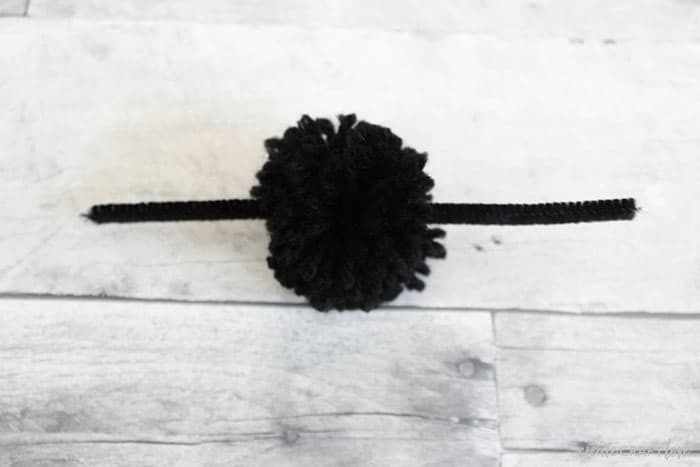 Once you’ve made your pom pom, take two black pipe cleaners and cut them in half. Carefully poke one of the cut pipe cleaners through the pom pom. Add the remaining three pipe cleaner halves through the center of the pom pom. Attempt to arrange them as symmetrically as possible. Bend just the ends downward so they can stand up on their own. Next, hot glue the googly eyes in place. 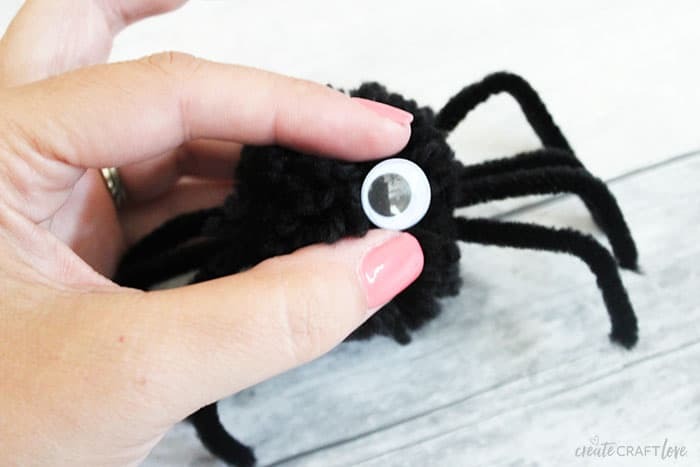 Once dry, hot glue the small pom pom as a nose! I used orange and green pom poms for the noses to keep with Halloween colors. I just adore how he turned out! This is a great kids project too! 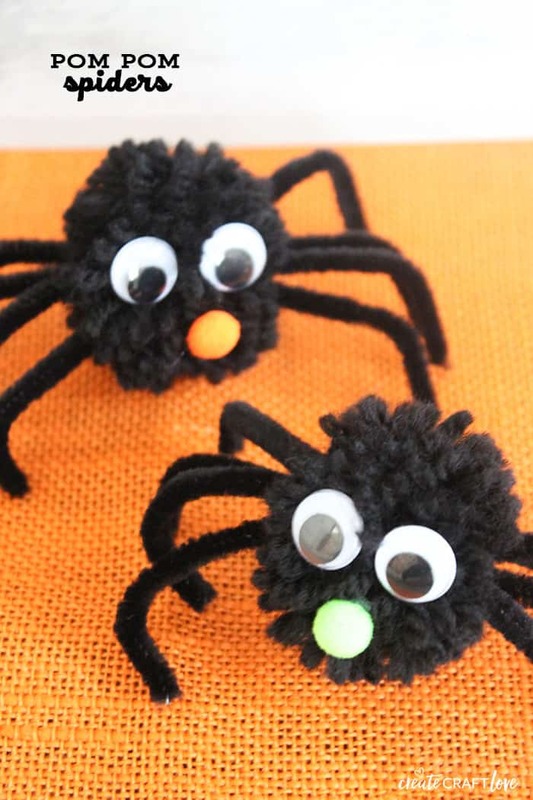 The pom pom maker is super easy to use and they will have fun making these cute little guys. Just be sure to help them with the hot glue gun so we don’t burn any tiny fingers.